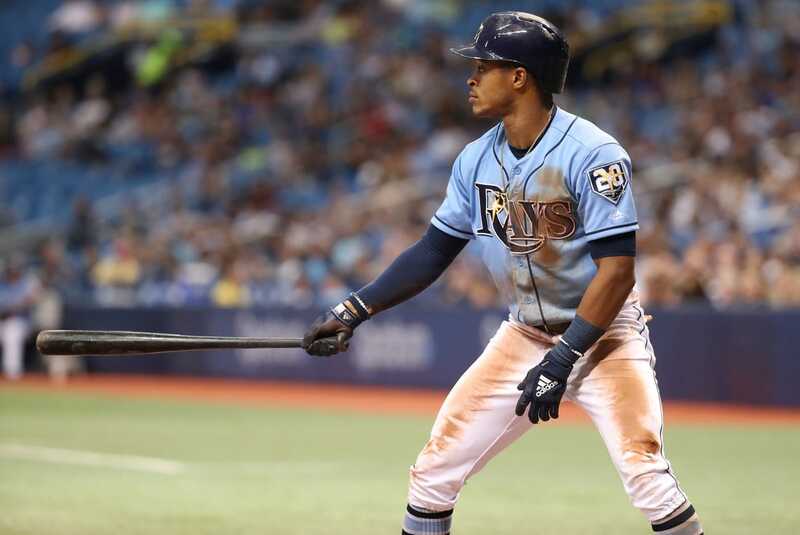 The Seattle Mariners acquired outfielder Mallex Smith and minor league outfielder Jake Fraley from the Tampa Bay Rays for catcher Mike Zunino, outfielder Guillermo Heredia and minor league left-handed pitcher Michael Plassmeyer. Smith, 25, hit .296 with 27 doubles, 10 triples, two home runs and 40 RBIs with Tampa Bay in 2018. He made 127 starts, including 20-plus games at all three outfield positions, and hit .305 as the team's leadoff batter. After debuting with the Atlanta Braves in 2016, Smith was traded to the Mariners and then dealt to the Rays in the Drew Smyly deal. Zunino, 27, was named Wilson Defensive Player of the Year at catcher on Wednesday. Last season, he batted .201 with 20 home runs, 18 doubles, 150 strikeouts and just 24 walks over 113 games with the Mariners. Zunino was the third overall pick by the Mariners in the 2012 MLB draft, and his salary could climb as high as $4.2 million this offseason, which marks his second year of arbitration eligibility. By contrast, Smith is scheduled to make the league minimum in 2019 and is under club control through the 2022 season. Fraley, 23, hit .347 with 19 doubles, seven triples, four home runs and 41 RBIs in 66 games in High-A ball. The 27-year-old Heredia has a .236 batting average over three MLB seasons, which followed six seasons of professional baseball in Cuba. Plassmeyer, 22, was a fourth-round pick in the 2018 draft. Trading Zunino leaves David Freitas as the only catcher on the Mariners' 40-man roster. It also creates questions about what Dipoto plans to do with the roster. While Smith can play all three outfield spots, he is Seattle's only true centerfielder. His arrival could lead to Dee Gordon's return to full-time second base duties, with Robinson Cano seeing more time at first base and designated hitter after returning from his suspension last season. Designated hitter Nelson Cruz is a free agent, and it is unclear if the Mariners will attempt to re-sign him. Jon Heyman reported Wednesday that the Rays, Chicago White Sox and Houston Astros have all expressed interest in Cruz.